Rifle accuracy depends upon how well the barrel is fitted to the action. 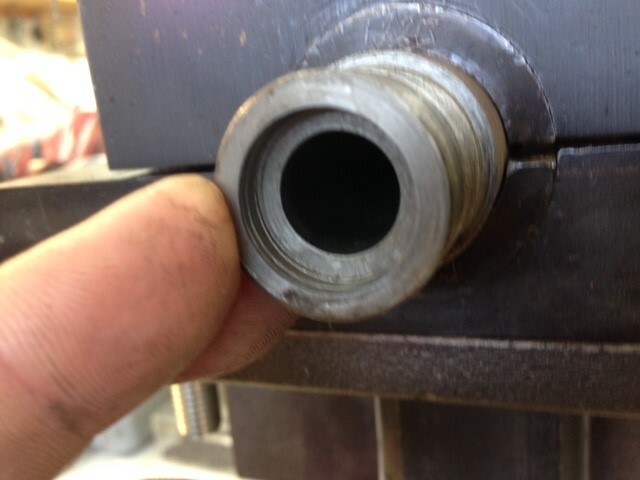 When we say “how well” we mean how precisely the bore of the barrel is aligned with the center line of the bolt. 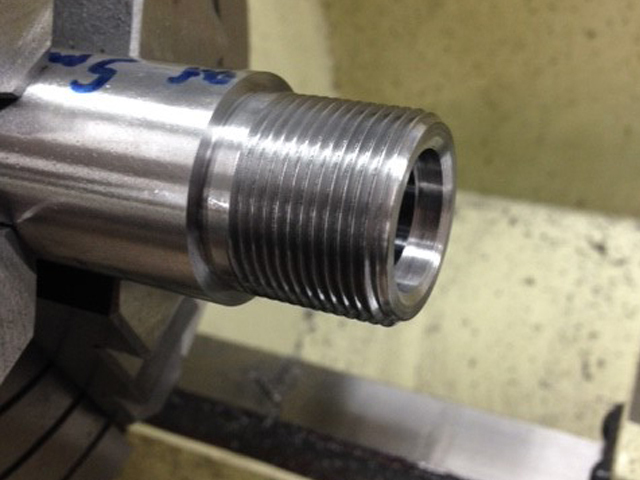 Misalignment between the bore and bolt face translates into misalignment of the cartridge in the chamber. This relationship is determined by many factors but two of the largest are how well your barrel threads fit the receiver threads and how square the shoulder of the barrel is. 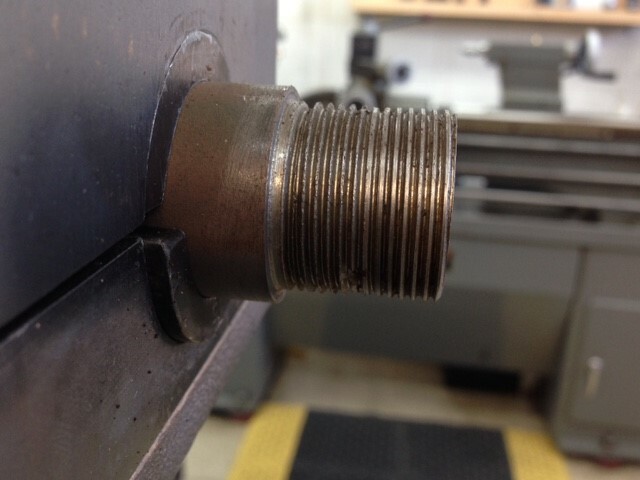 Both of those characteristics are a result of your gunsmiths machining skills and equipment quality. BCA uses a DRO controlled ACER 1440 V Precision Gearhead Lathe to machine its rifles. We are regularly able to achieve one ten thousandth (.0001) of concentricity from chamber to muzzle on the rifles we build. Our threading quality provides the best Barrel Tennon to receiver fit possible and our geometrically aligned compound and cross-feed insure your 90 degree barrel shoulder is truly 90.000 degrees. Some of the rifle’s we’ve had an opportunity to re-barrel will demonstrate the sharp contrast in machining quality that comes for some “well known” builders. The work you see below came out of a rifle we were asked to re-barrel and was done by a nationally recognized name that you would know if we revealed it. Here we see some horribly machined threads which have varying diameters across the length of the Tennon and a terrible surface finish. In the picture to the left you will see a botched bolt nose recess. You can see multiple steps in the recess where it was not machined uniformly and the general surface finish is awful. All this was never visible to the client who paid thousands for this full custom gun, but its ugliness did show up on the target. When the client failed to get the rifle to shoot he brought it to us for correction. At Bill’s Custom Automatics we hold ourselves accountable. Nothing leaves our shop until it’s correct. If we do make and undetected mistake, we correct them with no hesitation and no hassles. We build World Class Weapons and we stand behind them with World Class Integrity.